Not the best thing to wear that Sunday. It was one of the hottest days of summer! The training of the first batch is already over, and we now have 23 very qualified guides who are always on call when there’s a need for a guide around the Philippines. Luckily, one of the guides was an avid Couch Surfer, and he offered to members of the Manila group a free walking tour of Intramuros one weekend. It was such a big hit that he offered it again a couple of weekends after, and lucky for me, I had nothing to do that weekend. Arnold brought his fellow Mabuhay Guide, Bryan for the tour. Though there was a number of confirmations in the group discussion, there were only four of us in the tour group. 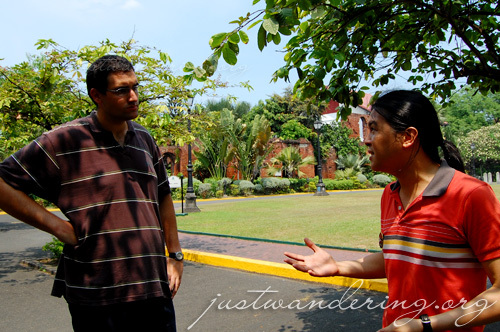 The meeting place was outside Fort Santiago’s gates, where the tour starts. 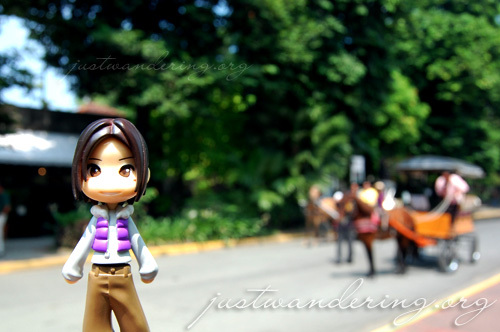 Fort Santiago is my favorite place in Intramuros, and I was quite happy to visit it again. I’ve been to Fort Santiago several times last year, so I was able to notice changes made throughout the park. It was great to learn things about Fort Santiago that I never knew before. 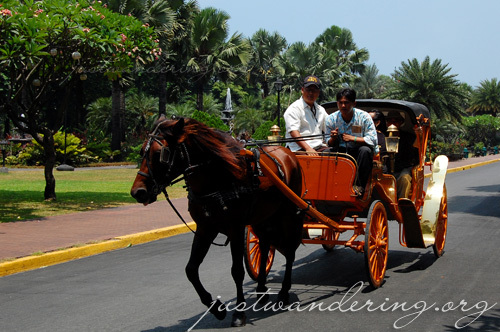 From Fort Santiago, we walked towards Plaza Roma, the park across the Manila Cathedral and the Palacio del Gobernador. There was a short history lesson under the shade, before we walked down the street to Casa Manila. 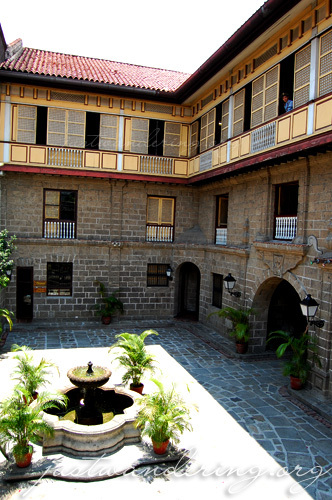 Casa Manila is a living museum, built to re-create what the house of a wealthy landowner is like during the 1800’s. Picture taking isn’t allowed inside, and they’re very strict about keeping to the carpets while inside the “house.” The museum reminds me of the Aguinaldo Shrine in Kawit, Cavite. Arnold and Bryan were both very knowledgeable about the Philippine’s history, thanks to their intensive training program. Aside from learning about the different facets of the Philippines, they were also trained on being a guide. They were very mindful of their guests, taking careful note to learn everybody’s name and addressing everyone personally. They encourage people to ask questions, and when they don’t know the answer to a particular question, they make sure they get your e-mail address so they can send you the answer once they have it. The Mabuhay Guides can be booked through the Department of Tourism, under Ms. Susan Calo Medina at 8965523. Wait…are you one of the guides?!? Also, since my Spanish is sadly lacking, what is “Intramuros?” I mean, why is it called that? i really like the idea of the mabuhay guides. and congratulations to the first batch. this posts proves the importance of having guides officially from DOT. i hope there’ll be more guides. I never had a chance to check your blog until today! Thanks for your kind words. Intramuros does mean inside the walls. It was also alternatively called Ciudad Murada or walled city. You can learn more about Intrmuros by reading the book “Ciudad Murada” by Jose Victor Torres (published by Vidal Publishing).